I’ve been asked this weekend to speak about how we can work with our basic mental factors – in other words, to adjust the various variables that are involved with the way that we experience each moment of our life, and adjust them in such a way that we can have a balanced, sensitive way of dealing with others and ourselves. And this is an important subject matter to learn about and to train ourselves in, because very often we tend to think of our frame of mind, our mood, as being some sort of whole, solid thing, and when we look at it in this whole way then it’s very difficult to see how can I adjust it, how can I change it, if somehow the way that I’m leading my life is not very satisfactory. But actually when we analyze, we find that our state of mind – our mood, our emotional state – is made up actually of many, many different factors that are networking and interconnecting with each other; and some of these maybe are functioning quite OK, but some of them might need some adjusting. And if we see what are the aspects of my state of mind that need adjusting, that are a little bit out of balance, then it gives us an idea of how to work on ourselves to improve the situation. And for this we have to learn, become convinced, that actually we can adjust all these different elements that make up our state of mind and our moods. So that’s the topic for the weekend. And this fits into a much larger program that I developed which is called Developing Balanced Sensitivity. It’s published in a book that I did. Both the English and the Russian and some other language versions are on my website, so you can find it there. It’s also together with the handbook, which one can use for the actual practice of the [nearly] twenty exercises that make up the program. This evening, then, I’d like to give a little bit of an outline of what the whole program is so that we see where this particular exercise that we’ll learn this weekend fits in. The way that I developed this program is basically because I had been involved with practicing and translating and teaching Buddhism for many decades; and one of the big problems that I saw was that many people reached a plateau in their practice and it was very difficult to go beyond that plateau. And the big obstacle that I saw was that people found it very difficult to know how to apply the various Buddhist teachings and practices to their daily life in terms of actual problems, emotional problems, that they faced. The problem was basically because so many of the emotional problems that we all experience we conceptualize in a Western way and they’re not conceptualized in the same way in traditional Buddhist thinking. So all of us know what insecurity is, what being insensitive or being oversensitive is, low self-esteem, being out of touch with our feelings, out of touch with our body, alienation, stress – all these things. And there are no traditional Sanskrit or Tibetan words for most of these, if not all of these. Now, that doesn’t mean that ancient Indians and modern Indians and Tibetans don’t experience any of these things – they do; it’s just that they conceptualize it differently. So I developed this program as a bridge, in a sense, to show how you could apply the various Buddhist methods to these typical problems that we all experience. And I did this by analyzing these various problems according to the Buddhist conceptual framework; then you can see how to apply the Buddhist methods for dealing with them. And frankly one of the big motivations for developing this program is because I needed it myself. So very often it seems as though self-interest and self-help is at least a part of our efforts to help others. “It will help me, maybe. I hope it will help others too.” That type of approach. When we look at these various problems, the central issue that I focused on was sensitivity. And when we’re talking about sensitivity here, we’re talking about emotional sensitivity, and we have two extremes: being oversensitive and being insensitive. What we want to do is to have some sort of balanced type of sensitivity, a sensitivity which is healthy, which is helpful, which avoids these two extremes. Now, what sensitivity is directed at can be either others or ourselves, and it involves basically two factors: paying attention (so attentiveness) and responding. So what are we paying attention to and responding to? That can be either a situation, a situation of others or our own situation, or it can also be in terms of the effect of our behavior, the effect of our behavior on others – what we say to them, how we treat them – and the effect of our behavior on ourselves. And there are many possibilities here of what could be out of balance: we can pay too much attention or too little attention, we can overreact or not react at all or react in an inappropriate way – and then you shuffle these together and you have many, many possibilities of what can be out of balance. And when we look a little bit closer, speaking in terms of paying attention: you can pay attention with or without empathy. Like, for instance: as a man, I could try to pay attention and be responsive to my wife’s pregnancy and giving birth to a child, but it’s very hard as a man to empathize with what a woman actually feels. And paying attention can either be with understanding or without understanding. I notice that I’m really not feeling well mentally, emotionally, and I don’t understand why, what’s really wrong, but I could respond to it by taking a rest. There’s an example where there’s no understanding, but still we have a balanced, sensitive way of dealing with it. Now let’s look at each of these variables so that we have a little bit of an idea. [A cell phone rings.] That’s a good example of being sensitive to the situation and shutting your cell phone off before a lecture begins. —So, anyway, paying attention to a situation in terms of ourselves, for instance. Take the example of our health: You can pay too much attention, and then you’re a hypochondriac and always worrying about how you feel (like buying one of these blood-pressure machines that you keep at home and then you take your blood pressure every couple hours). On the other hand, you could be insensitive to your health, and even if you are feeling bad you don’t go to a doctor; you don’t do anything. —And in terms of paying attention to a situation of others (let’s say our children): You could pay too much attention, and so you’re always overly protective of them and overly watching everything that they do. Or you pay too little attention to them – you’re too busy, you’re always working or whatever – just throw them in front of the television. But obviously we need a balance there, somewhere in the middle, in terms of our health, in terms of paying attention to our children. —In terms of ourselves, we could pay too much attention (like we’re afraid of ever making a mistake, and so it almost cripples us in terms of how we deal with anything in life) or we pay too little attention and we’re sloppy (we don’t care that we make mistakes). —And in terms of our effect on others: We could pay too much attention to that, so we’re always afraid that we’re going to do something or say something to others that is either going to hurt them or they’re going to disapprove of us and so on, so we’re very careful and shy, always trying to please them. Or we don’t pay enough attention to the effect of our behavior on others, and so we say cruel things or we come late, and all these sort of things – that we’re not even really paying attention to the fact that it will hurt somebody else. And then of course we can overreact, we can underreact. We can notice that something is wrong, but then we don’t react. I know that I’m working too hard, but I don’t do anything about it. So it’s a type of denial. I know I’m sick, or I know that I’m getting old, but nevertheless I’m going to still try to deny that, and then I’m still going to try to do things as if I were healthy and young. This type of thing. Then we could still act – let’s say do something, react to something – but without any feeling or with too much feeling. That’s another variable. I’ll help you because I feel guilty or it’s my duty, or something like that, but my heart isn’t into it. That’s another form of being insensitive, isn’t it? Or I help you but I’m overly emotional about it. Ever happened that you hurt yourself and then somebody is more upset about it, when they’re trying to help you, than you are? So these aspects. There’s also unbalanced judgment: we responded in an inappropriate way. And also in terms of having too much feeling: First of all, you could also have a lot of feeling but don’t actually do anything. I’m so upset and so on, but I’m paralyzed because I’m afraid that I would do something wrong, I would make a mistake, so I don’t so anything. I’m really upset about your situation or really upset about my own situation. —So let us say somebody has been abused and then our feeling is “Oh, you poor thing,” and it’s too embracing of “You poor, poor thing.” And that also is very insensitive to the other person: they don’t want pity. —Or it could be this distancing thing – that’s not the best word to describe it – but if you hear of somebody who was robbed or abused or whatever and then you get what we call righteous indignation: “That was so terrible.” You get all upset – “How terrible that was” – which also doesn’t help the other person at all. So you’re responding with feeling but a completely inappropriate, unhelpful feeling. Also there’s another variable of balance that we need in terms of balance to our sensitivity to others and to ourselves. We’re taking care of somebody who’s sick, for example, so we’re trying to be really sensitive and helpful to them, but we’re totally insensitive to ourselves, and we overtax ourselves, we don’t take a break or anything like that – especially if we’re taking care of an elderly parent or grandparent who has Alzheimer’s or something like that – and you completely burn yourself out because you’re not sensitive to your own needs. You’re being too sensitive to the other one. So we can see from all these examples that this issue of sensitivity covers a very large area of different problems that we face in life. And when we analyze all these problems, what we find as the common factor in all of them are these two aspects: paying attention and responding. And that indicates what we could work on. If we can understand through introspection, honest introspection, about “What are my imbalances?” then we see how can we work with this, what can we adjust in order to deal in a more balanced, sensitive way to situations of others and ourselves, the effect of my behavior on others and the effect of my behavior on myself. Buddhism of course is very helpful, with many methods to deal with these issues. And what I’ve done with this program is take many different methods from many different Buddhist practices and put them together in a certain order that make sense with how we would develop balanced sensitivity. So everything is based on the Buddhist teachings. However, I’ve presented it in such a way that, although I indicate what the Buddhist sources are, it’s absolutely not necessarily at all to have a Buddhist background, or to even know the Buddhist background, in order to be able to practice these exercises. And with each of these exercises – we won’t really have time to do a full exercise, but the way that it’s done in full is that we practice with actual people. Often in Buddhist meditation we sit and we visualize and imagine compassion for all sentient beings. Well, all sentient beings – thank you very much, but who? It’s too vague, too general. And even if we divide it into all humans, all animals, all ghosts, and so on, still it doesn’t really touch your heart. I mean, it’s too abstract. Now, it has a benefit in terms of having an equal attitude toward everybody. So if you think in terms of everybody, then it’s not really just your favorites (this one that I like and this one that I don’t like). So there is a purpose why it’s done in this general way in the general Dharma practice. But there is another style of practice, with which you start with those that you know and then you expand to everybody. ===First it’s done with people who are not present, people that we don’t know, strangers, and people that we don’t like. And it’s not very easy to visualize for many of us, so I use pictures. People that we don’t know – put up pictures cut out from a magazine. So we direct our focus at these people in terms of being more attentive to their expression, etc., develop more sensitivity to them. And then we can work with photos of people that we know and we like, and then photographs of people that we don’t particularly like. And even if it’s not somebody personally that we know that we don’t like, it could be a political leader, it could be whatever that we don’t like. There’s always somebody that we don’t like. ===And then we practice with each other. For this we usually sit in a circle and you look at everybody around the circle, and then we break into groups of two by two and we work with each other. ===And the third phase is working with ourselves. And for that we can look at a mirror and direct our attention at ourselves, work without a mirror, and then work with a series of photographs of ourselves over our lifetime in terms of our attitude about ourselves in the past. Very often we are not at ease with the way that we were. “Oh, I was such an idiot when I was younger,” and so on. We are oversensitive to these things. Or there are certain times of our life that I would just as soon forget about. This sort of thing. That’s not very healthy. For different cultures and different people of course the order can be switched. Some cultures or people find it difficult to deal with themselves but much easier to deal with other people; other cultures find it very difficult to relate to other people and they’re more withdrawn and so they deal with themselves. The difference between a Latin American culture and a German culture, for example. It is best of course to practice this in a group, but it can also be practiced by yourself. I’ve indicated how to do that in the book. Also what one must bear in mind here is that doing these exercises – I taught it twice in Berlin, where I live, a full course; and it took, meeting once a week, three years to go through all the exercises. So it’s quite a program, quite extensive. This is because we’re dealing with deep emotional issues here, and so a lot of emotional things come up. Just as an example: How much time do we ever spend in sitting down and really looking within ourselves and seeing “How do I feel?” or looking at yourself in the mirror and seeing that “Hey, I really look sad,” something like that? That can bring up a lot of emotion when we realize that deep inside actually I’m very sad or very frightened. So that was the first exercise, which is – obviously we can’t spend that much time on all twenty of them, but that first exercise is to just try to identify what are our sensitivity imbalances. And it’s not necessary to go into tremendous detail with ourselves but just to appreciate that actually there are issues that I need to work on and see that it is possible to analyze what’s involved and there will be ways to work with it. Now, in order to be able to do any of the exercises, we need a certain mental and emotional envelope – envelope is about the only word I can think of – that sort of you can keep all the exercises inside. And this has two aspects: one is a quiet mind, and the other is a caring attitude. Quiet mind doesn’t mean turn the radio off, that you feel nothing and complete blank. It’s not like that. What we mean by a quiet mind is to quiet down all the mental chatter that’s going on – “Blah blah blah blah blah” – which could be either judgmental (“Oh, what an ugly dress this person is wearing,” etc.) or worrying about yourself, all these sort of things, or being distracted (you’re with somebody, but your mind is somewhere else). You have to quiet that down. To be sensitive to someone, we have to pay attention. Paying attention means that your mind isn’t elsewhere and you’re not talking all the time in your mind, judging them or commenting: “Oh, how boring. I wish this person would shut up already so I can go home.” This type of thing you have to quiet down. And also we need to quiet down some of these attitudes that we have and projections. We go into a situation: “Oh, this is going to be really boring,” “Oh, I’m going to have a terrible time at this party,” or whatever. That type of attitude and prejudice you have to calm down. So when these things are quieted down… And Buddhism has many methods, obviously, in terms of developing concentration and so on, how to quiet all these things. And the easiest one is letting go. And we train very simply: You have your hand in a fist, and you open it up and let go. And you try to do that with your mind when all this “Blah blah blah” is going on; just let go. Obviously it comes back, but if you train yourself enough of letting go, eventually you can let go. Developing that skill of letting go is very useful, particularly when we’re trying to fall asleep and your mind is racing with thoughts. Well, just let go, stop thinking – not so easy to do, but you can train yourself to do that – and then usually you fall asleep very, very quickly if you can quiet your mind. We really need that especially when all our thinking is involved with worrying. That can be really very crippling. I’m sure we all know that. And we practice with others. It’s a very interesting exercise to be able to look at other people in the room and not say anything in your heads – to just look, not comment. So these are the type of exercises that we do. We train ourselves. And that of course you can practice in the bus, you can practice on the road when you’re driving and there are other cars, you’re stuck in traffic, etc. – to just have a quiet mind, to not comment. Very helpful for mental health, actually, to be more calm like that. Quiet mind. But it doesn’t mean that we are quieting constructive emotions. Obviously you want to quiet, if you can, a feeling of fear, a feeling of insecurity, nervousness. Calm down. ===In terms of putting our shoulders down. Very often our shoulders are up with tension. You try to be sensitive – pay attention to how you’re holding your shoulders, and if you are holding your shoulders up like this, put them down. Very helpful. Be sensitive to oneself. ===Or the expression on your face. If your face is really scrunched up and “Grrrr,” like that, relax your face muscles. That also just requires paying attention to the situation of yourself. Actually the facial expression is very important when we are interacting with somebody. If you have an absolute blank face while somebody is talking to you, that’s very unnerving to that person. Well, occasionally you have to either smile or nod or something – acknowledge that you are alive and not just a photograph of somebody that they’re talking to. So quiet down all these things. Well, it’s very, very effective, actually, if we can just – even that first step, to remember that “Hey, this is a human being and has feelings, and their feelings can get hurt by what I do and what I say.” That’s a very eye-opening understanding, realization, to look at everybody in this room, for example, and to see “Well, you’re a human being. You have feelings. You have feelings, you have feelings… Everybody in this room has feelings. Nobody wants to be ignored. Nobody wants to be rejected. We all have feelings. We’re all the same.” That’s the caring attitude. So we spend a lot of time to try to develop that, these two aspects – the two wings, I describe it, that the whole practice flies on – the quiet mind (nonjudgmental) and caring attitude. And when we have developed that, or at least made steps toward developing that, that creates the protected space within which to do the rest of the practices. Because then we have a feeling that everybody in the room at least is trying to be nonjudgmental and takes me seriously as a human being with feelings. All of this is in the first part – the practice is in four parts – these are the fundamentals. ===We’re not going to make up any mental stories about people. ===No comments or bringing up old history and all of that. ===No feeling of self-importance (“I’m so much better than you”). ===No feeling of a solid wall that’s separating us and I can’t possibly relate to you. ===No fears. You could be afraid of the other person or afraid that I’m going to make a mistake or afraid that you’re going to not like me. None of these sort of fears. ===A feeling of joy. It’s a joy to be with you or a joy to be with myself. I mean, we’re talking about not only with others but just with ourselves – no judgments of ourselves as well: “Oh, I’m so terrible,” etc. ===Appropriate facial expression to others. ===Self-control to be careful not to hurt the other person. Be careful about what you say and how you act. ===Speaking kind words. And it is very important to be aware of our tone of voice when we’re speaking to others. Sometimes it could sound very, very harsh because it’s not relaxed. So the tone of voice is very important. Considerate action – like somebody comes and it’s hot outside and they just arrive, and you’re considerate: “Would you like a glass of water?” Somebody comes home from work; you’re considerate: they’re tired, so you don’t immediately bombard them with what you want. Call somebody on the cell phone, so you ask, “Do you have time? Is this OK to speak now or am I interrupting? Shall I call later?” There’s this self-importance that the other person should immediately drop whatever they’re doing, no matter what, and speak to me – that I can interrupt at any time. It’s very insensitive, isn’t it? And remember “You have feelings, just as I have feelings,” and that’s the point. I would like it if you were like that toward me, so we try to be like that toward others. ===To feel joy. Well, lying in bed in the morning, comfortable and warm on a winter day. We do feel joy no matter how depressed we might be. You feel nice. ===Being focused. If we can write our name – you can’t write unless you are focused. You can’t type on a computer or SMS on your cell phone unless you’re focused. We’re capable of that. ===Being warm. Everybody has the experience, I’m sure, of petting a kitten or a puppy dog, or something like that, in your lap, and you feel warmth. You’re capable of it. ===Understanding. If you can tie your shoes, you have understanding. You understand how to do something and you can do it. ===Self-control. Did you ever take a splinter out of your finger or your foot? You have self-control to be careful not to hurt yourself. We do have that. ===And inspiration. Something inspires most of us – it could be listening to music; it could be watching a sunset; it could be whatever. So we reaffirm that we do have these natural abilities; you just need to work with them. Then the next thing, very basic, is to resolve to refrain from destructive behavior. Buddhism presents ten basic types of destructive behavior, but these can be expanded, understood in a much looser and wider sense. So we try to identify when, for instance, not necessarily killing somebody or killing myself but being physically harmful, doing something physically harmful. It could be even walking too quickly with an elderly person. That’s destructive, isn’t it? It makes the elderly person feel very uncomfortable. Lying. We often lie to ourselves. We deceive ourselves, don’t we? There are many, many general examples that we can think of. Harsh words. How often do we say harsh words to ourselves in our minds? ===“I shall not be afraid to respond to you if you need me.” Like giving comfort to somebody. If we’re upset, it would be very nice if somebody gave us some comfort, some sincere comfort. And if somebody else needs comfort, not to be afraid – “Oh, I’m afraid to hug you,” or whatever. ===“I shall take in all information about you and not jump to conclusions.” You ever have this happen, that somebody is explaining their problem to you and you even don’t let them finish explaining – you jump to a conclusion: “This is what they meant” and “This is what is wrong,” and you’re completely off? ===“Once I’ve decided to do something, I shall act straightforwardly and just do it.” Like somebody’s carrying a heavy bundle and they’re about to drop it. If you decide to help them, you do it; you don’t hesitate and wait. ===And one that is usually, for most of us, most difficult: “I’m going to refrain from offering unwanted or unneeded help or advice.” Like telling our married daughter how to cook or how to take care of her baby – unwanted, unneeded, unappreciated. We know what that’s like if we’ve been on the other side of that and our parents gave us unwanted or unneeded advice and try to control what we do. So that requires sensitivity, doesn’t it? That’s the first part, the fundamentals. Then the second part is uncovering the talents of our mind and our heart. For this we need to first of all shift our focus from our mind and ourselves to mental activity. This is based on mahamudra teachings, basically. So what is going on in each moment is the arising of some sort of mental hologram (an appearance) and perception. All these light impulses come into the eyes, and they’re changed into electric impulses and chemical impulses, and then somehow the brain makes a mental hologram. That’s what we see, and that’s what seeing is, or hearing. And there’s no concrete me that’s separate from it that’s the observer or the controller. Just mental activity, moment to moment to moment. This helps us, especially if we are oversensitive, to get a little bit of distance. And although there’s no separate me that’s the controller sitting back in my head and watching all of this and pushing the buttons, nevertheless I’m accountable for what I experience and what I do. And the contents are always changing, of what I’m experiencing. And it’s particular to myself. It’s individual. What I observe in a situation is quite different from what you observe, and I will experience the effects of my mental activity: if I’m depressed, I’ll feel bad. So, in a sense, we are disengaging ourselves a little bit from this overreaction, this “Me me me me me.” So just the basic mental activity, moment to moment. So now we’ve identified what we call the gross mind. Now the next one. For subtle mind, or subtle mental activity, we look at the face of, let’s say, an upsetting person. Right? So there’s production of a mental hologram and the seeing. This was happening. And no matter what type of emotion I might have in response to it – getting upset myself or frightened or whatever – that doesn’t block this mental activity of seeing this picture, seeing this face, does it? And my verbal thought doesn’t block it either; I still see the face. And if I think I can’t relate to this person, that doesn’t create some sort of inherent flaw. I can still perceive and see this person no matter what I believe. In other words, my projections, my attitude, and so on – “Oh, I can’t relate to this person” – that doesn’t block the mental activity. Mental activity is still there; it’s still seeing the person. And no matter what I think, I’m incapable of changing reality. So I could think this person is a monster and so on. That doesn’t change them into a monster; still we’re seeing their face. And so this is very important, to recognize that this subtle level of just perceiving – just making a mental hologram and perceiving – that is there with continuity no matter how upset we are, no matter what verbal garbage is going on in our mind. It doesn’t matter; that’s always there. That’s very important because then we can access it. Then the next exercise: to access the natural talents of the mind and heart. OK, so we have identified that this continuity, this very basic level, is there all the time, so how do we access it and its natural talents? So based on this letting go that we’ve been practicing all along, then first we release our muscle tension, we let go of our verbal thinking and the movies that we’re projecting in our mind, and our preconceptions and nonverbal judgments (we very often have nonverbal judgments, but they’re there), and let go of – now, this is very subtle – projected roles and associated expectations that we might have of the other person and ourselves (“I’m supposed to be strong,” or “You’re the child, and I’m the adult,” “I’m the mother,” or “I’m the father,” and all the associated projections and roles that you have to play in order to fill that role). You have to drop all of that. Just human being. So if we can do this deep, deep relaxation, letting go of all stress, all these sort of things, then we try to notice what actually do we feel in this state when we’re just with this very, very subtle mental activity. And you discover when you’re really super relaxed, naturally there’s a feeling of warmth, a very low level of joyousness (it’s not “Whoopee! Whoopee!” but you’re not depressed or anything; it feels good), we’re very open to the other person (we’re not defensive or anything; we’re very naturally attentive and concerned), and there’s no hesitation or anxiety to respond with whatever words or actions seem appropriate. So that’s the real key here, is to be able to relax and just access these natural talents – this comes from the dzogchen teachings – relax and access the natural talents of the mind. They’re there if you can just quiet down enough. ===We’re able to take in information. ===We’re able to see patterns, put things together – patterns in behavior of somebody, patterns in ourselves, things that fit together. And that’s important if we’re relating to somebody, to have some idea of their patterns, put behavior together. ===We’re able to see the individuality of things. We don’t just see everybody as: “Well, here it says in the book: when somebody has this problem, this is what we do,” and so we apply it to everybody equally. Well, not quite like that. You see the individuality of people, and you can adjust individuals, because we’re able to recognize individuals. ===And then we can relate to things. That’s another way of being aware – what to do with something. I know what to do: I can pick this glass up, and I can put it to my mouth, and I know to drink. You know that. That’s the basic way the mind works. ===And we know what things are and that they don’t exist in absolutely ridiculous, impossible ways. So that’s uncovering the talents of our mind, what we can work with. Then the next part is dispelling confusion about appearances. In other words, if we’re going to respond, we need to respond to what’s reality. Mental activity is making mental holograms, but first we have to see are they valid – what appears, is it valid? Because it might be that we’re distorting it; we’re not really seeing the reality. ===First we have to confirm the conventional appearance of what we see: yes (denial doesn’t help here), I didn’t wash them. ===And then we have to know inflated feelings, this inherent horrible mess here and this lazy slob of a partner that I live with who didn’t wash the dishes. ===Then we have to dismiss this image and feeling by imagining that it’s just like piercing a balloon with a pin. We’ve inflated the situation and – not that there’s a separate me that’s coming along with a pin and bursting the balloon, but just the balloon bursts. So what is this inflated balloon that we burst? It’s like a storybook – The Princess and the Mess or The Victim versus the Lazy Slob – that my partner didn’t do it, and I’m this poor victim, self-righteous, and this horrible person didn’t wash the dishes. Burst that balloon. So we can use either the image of bursting the balloon or the storybook with the fairy tale of The Princess and the Mess. Close this and just look at the situation, accepting the reality of what it is. This is very effective when you look in a mirror and the fairy tale starts of Beauty and the Beast, Beauty looking at the Beast in the mirror: “Do I really look like that?” The storybook closes. It’s very effective, just in terms of a mental image. If it’s a deceptive appearance, like Beauty and the Beast or whatever, or “You’re such a horrible person,” then we need to deconstruct these deceptive appearances. And there’s quite a few exercises here. We have to visualize life changes, to start with. What happens is that we get very upset with somebody, and what you do is like you freeze them into a picture, into a still picture. Or take the example of an elderly person with Alzheimer’s in the nursing home. They’re sitting in a wheelchair and playing with a towel and dribbling – you know, the image. And the problem here, the deceptive appearance, is that they were always like that, and then you become very insensitive and frightened actually, how to relate to this person. So we try to see that: “Hey, this person was a child. They were an adult. They had a family. They had a profession. They had a whole life, and this is just one part of that whole life.” So you try to deconstruct it just being a still, little picture here to seeing the whole span of the life that goes through all these changes. Then it is much easier to relate to this person in a sensitive way. And we can do this in the other direction as well, into the future, in terms of how you relate with a child or a teenager, to realize that: “Hey, this person’s going to become an adult and so on, and is going to have a whole life.” So it helps you to develop more respect for this person. They just happen to be a child now; or a baby. Sometimes the parents feel that they just can argue and fight in the presence of a two-year-old: “Well, it’s a two-year-old; they don’t really care.” But they do care. It does have an effect. They will become an adult. Then the next exercise: we dissect experiences into their parts and causes. So parts: “This person is so upsetting,” and so on. Well, they’re made up of a collection of atoms, little pieces of a body, and so on. So this is just one aspect of their life. They have many other facets of their personality. There are many other facets of my relation with this person. This is just one little part, one little scene that’s happened. We forget the whole context. Then we think of all the causes. We never think of the causal factors that led up to this upsetting behavior. Maybe they had a hard time in the office, maybe the kids gave them a hard time during the day, maybe something broke in the house, and so on. We never even think of these things. We just react to exactly what we see in front of our eyes. And then of course we could be like psychiatrists or psychologists and think of the causes in term of their childhood and the way that their family treated them and the way society treats them. And if you really analyze, there’s a million causes that are involved with why this person acted the way that they did. And of course you can even bring in past lives. It’s amazing how deceptive the appearances are that we perceive. Like, for instance, we forget the fact that this person has friendships and relations with other people. I’m not the only one in their life, so why should they always be available for me? But it seems like that to us, doesn’t it? We lose the context. We don’t see that this is just a part of their life, their relationship with me. Then we have to deconstruct dualism. And for that we use the image of seeing experiences as waves on the ocean. So the example is: “How dare you say that to me?” There’s this dualistic feeling, the judge and the offender. So we recall – well, what actually happened? All that happened was that we heard the sound of a voice saying these words; that’s all that it actually was. And imagine that experience of hearing those words like a wave on the ocean of our subtle mental activity. And then what happened was that because of our projections, that wave got bigger and bigger. With this dualistic thing of the judge and the offender and “How dare you?” and so on, and the disturbing emotion – we got angry – and so on, it became a big, monster wave. So we imagine being the ocean, and no matter how big the wave is, it’s only water. It can’t disturb the ocean itself (the ocean is big). And we return to just the bare experience of – just all that happened was we heard words. And then in a calm state of mind, not making a big deal out of anything, we handle the situation. You have a clear mind, so you see how to handle the situation. Well, that’s the third part, deconstructing the deceptive appearances. So we have our foundation, the first part, and we realize that we have all these natural talents and how to access them, and then we have to deconstruct the deceptive appearances. You make sure that what we’re going to respond to is the actual reality, the actual situation, and not inflate it into something or not just see a little, narrow piece and not see the whole situation. ===How much attention you pay to something. ===How much interest you have in it. That’s a very important thing. If you’re not interested, you don’t pay attention. ===You have to distinguish what’s their facial expression, how are they holding their body, do they look tense, do they look tired, do they look sick? So we’ll go through a whole list of ten of these. And we also have to be careful not to be – now, this clinging and aversion and indifference toward ourselves. So what does that mean? So this equanimity toward myself means I’m not going to be overprotective of myself, not frightened, frightened of my feelings and so on, and to drop being too busy. We’re too busy, then I don’t have time to feel anything. And then to be open and concerned. The pain that others are feeling is for real. All of this is in the context of the Buddhist practice of giving and taking, which is to accept the suffering of others and give them happiness. And the big problem with that is that we’re afraid to feel their suffering, to feel empathy. So for that we have to not be tense, not be worried, not cling to the person, not be afraid, not ignoring – just open and concerned. And then develop interest. The pain needs to be removed. They need comfort. As Shantideva says: “Pain should be removed just because it hurts, not because it has an owner (that it’s your pain or my pain).” And then empathy and compassion, willingness to become involved. Not being afraid of feeling sad. It’s just a feeling, so you can train yourself. What’s the difference between tickling your hand and pinching your hand and just holding your hand? It is just a sensation. It’s just a feeling. No big deal. So not being afraid of feeling sad when you hear somebody’s really in a tough situation. They tell you, “Oh, I’ve just found out I have cancer,” something like that. And then you breathe in the pain, you accept it, you feel it. And then we use these exercises that we had before of being like the ocean. So you feel it, but then it quiets down, and we access this subtle level that has natural warmth and so on. And you project, then, warmth and comfort to the other person. This is a very delicate situation if somebody tells you that they have cancer, so of course you feel sad. You are to accept their suffering, but it’s not: “Oh, I’m so happy that you have cancer.” So how do you feel the suffering and yet project to them and give to them warmth and comfort and not just “Oh, how horrible” and you cry with them? So this is the method. Then the last exercise is making sensitive decisions. How do you decide what to do? And this is dealing with really difficult decisions, like do I end this relationship, should I change my job, should I move? These big decisions that are very, very difficult. How do you make a sensitive decision? ===What do I feel like doing? ===What do I want to do? ===What do I need to do? ===And what does intuition tell me? ===Well, of course I feel like going in and buying it and eating it. ===But I want to lose weight. ===And I need to lose weight because of health, high blood pressure. As my sister always says: the crumbs of the cake, those don’t count. Other people take the piece, and then you eat the crumbs from the plate. This type of thing. And then you analyze: Why do I feel like that? Why do I feel like I want to break up with this person, but I feel that I’m never going to find another partner, but I need to break up? So you analyze why. What are the factors affecting this? And you can make a list, the advantages and the disadvantages. And is it a legitimate reason why I want to break up? Or is it a legitimate reason why I feel that, well, I’ll be rejected and so on? Well, that’s because of low self-esteem. Is this realistic? Etc. And you come to a conclusion of what you decide to do. You come to a decision based on considering all these factors, not just deciding based on what I feel like right at this moment. 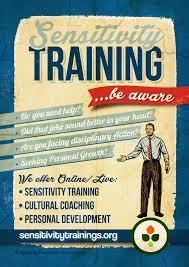 So this is the basic training of sensitivity. It’s twenty [sic! eighteen] exercises. As I said, it’s a very, very full program, and to go through it takes about three years if you’re going to do it one session a week (you have to do it slowly because a lot comes up). But the results that I’ve seen from people who have gone through this type of program – it’s really very helpful. And there are four more exercises, which I call the advanced training, which are more-detailed methods for deconstructing the deceptive appearances. Because that for most of us is really quite difficult. We just live in our fantasies, in our projections. So that’s it for this evening for our introduction. This is the general context. And then we’ll work with this one specific exercise of working with our mental factors, adjusting the basic ten of them. We end with the dedication. We think whatever understanding, whatever positive force, positive energy, has come from this, may it go deeper and deeper and act as a cause for gaining balanced sensitivity and eventually liberation and enlightenment for the benefit of all.